​​​​​​​How do I receive my DriveNow customer card? ​​​​​​​What methods of payment does DriveNow accept? Can I use somebody else's credit card, for example my parent's or wife's credit card? Will a certain sum be blocked on my credit/prepaid card for the registration as well as for each time I use a car? Comment puis-je annuler mon contrat avec DriveNow ? 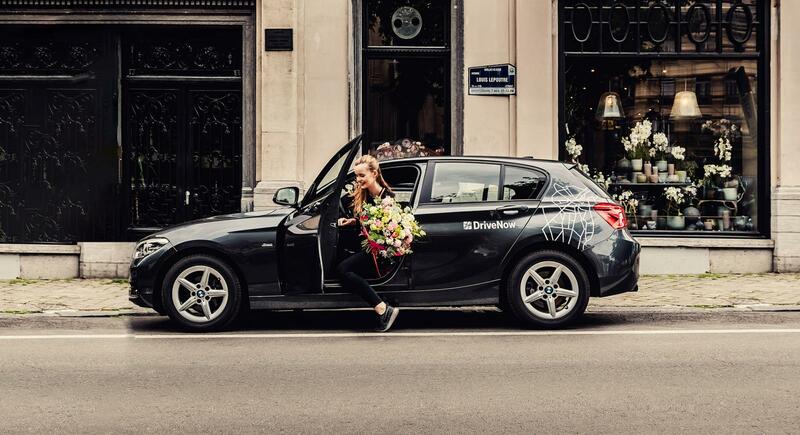 Can I drive a DriveNow car abroad from Belgium? Can I use DriveNow in other DriveNow cities? How can I refuel a DriveNow car? The DriveNow screen tells me that there’s no radio network. What should I do? How do I know in which parking zone I am (red or orange zones)? I’m inside the DriveNow Zone but cannot end my rental. What should I do? Can I park my car and end my rental anywhere inside the Interparking garages? Is there an extra fee to park in one of the Interparking garages? What do I do if all the parking spaces are taken in one of the Interparking garages? Do I need to take a ticket to enter the Interparking garages in Brussels? Can I leave a DriveNow car in any other Interparking garages in Brussels? Is parking included in the hourly packages? How can I book an Hourly Package? What happens when I have used up my hour/km allowance in my Hourly Package? Can I use bonus minutes in every DriveNow country? Can I use my bonus minutes for parking or to extend the reservation? How does Drive’n Save offers work? How to drive an automatic car? Where can I charge the BMW i3? How do I unplug the BMW i3 from a charging station? I have a vertical credit card format and the DriveNow app won't let me make a scan of it (to submit documents). What can I do?